Every year in January we celebrate MLK Jr.’s dream. It is just as important today, as it was then; which is why we want to celebrate by creating a hands-on mobile for the classroom. This will get your students thinking about future goals and dreams that they can share with their peers. * Craft Paper, Card Stock, Construction Paper, etc. 1. Begin by printing out the cloud mobile template for each student. Have them complete each sentence about their dreams for the community, school, world and each other. 2. Cut out each cloud. Starting with the title page, you can add a colorful border, picture, or drawing to represent each students’ individual artistry. 3. 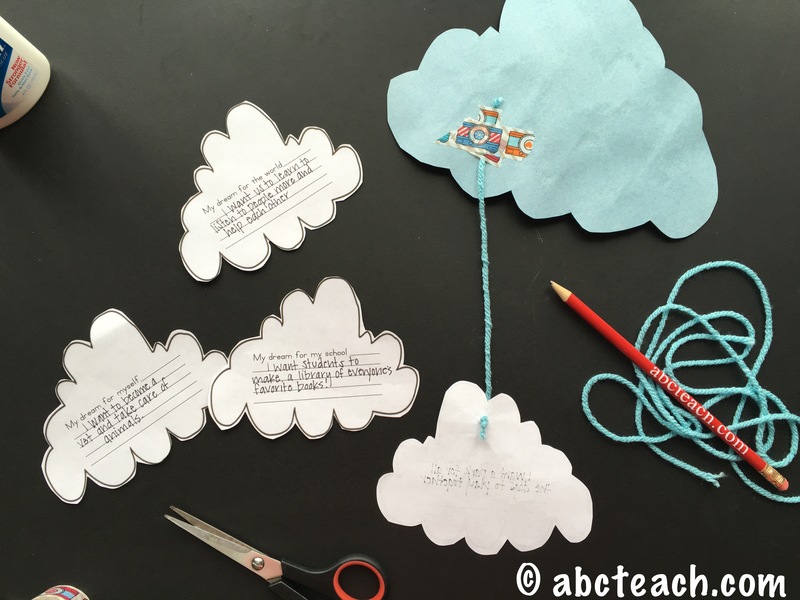 Using a hole punch and string, punch a hole in each dream cloud and tie a string connecting each dream cloud to the title page. It’s fun to use different string lengths! If you don’t have a hole punch, you could tape the string as well. 4. 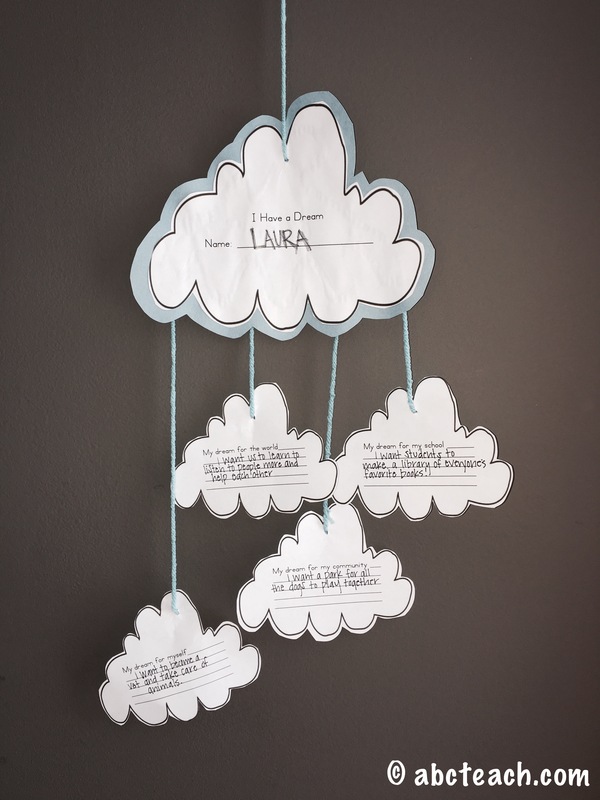 Find a spot in the classroom for the students to hang their MLK mobile. Here are some related categories on abcteach, where you can find teachings for Martin Luther King Jr. , and more historical and cultural figures. Enjoy this fun activity, and useful links for all your cultural teaching needs. Share with other teachers, parents, and friends. This is a fun activity for the classroom or for at home. Halloween is right around the corner, and it is time to get the season started early. With the cool crisp air, falling leaves, and trips to the pumpkin patch happening this month, we wanted to share some awesome Halloween-themed activities for the classroom or at home. These worksheets are easy to download and print whenever you need something now. In this category you will find Halloween activity mats, candy corn counting, pumpkin matching, a ghost-shaped word search and much more. There will be a mixture of both FREE and member files. Halloween Activity Mat – *Members Only. This activity mat includes a word scramble, maze, crossword puzzle, tic-tac-toe and dot-to-dot ghost games. Perfect for kids on the go! Try using abcWorkshop on a computer or tablet if you don’t want to print. Ghost-Shaped Word Search (hard) – Find all of the 24 hidden Halloween vocabulary words in this tricky word search. Includes word bank and answer sheet. Halloween Tic-Tac-Toe Board Games – *Members Only. Two fun, tic-tac-toe boards and game cards. Color and laminate for longer use. Ten Frames: Candy Corn Counting – *Members Only. 11 page booklet using ten frames to count. Students can use real candy corns to complete the ten frames! Includes tracing numbers and addition problems. Dominoes: Halloween Theme – *Members Only. Play any ‘double six’ domino game with these Halloween word dominoes, from CAULDRON to TREAT BAG. Who doesn’t love pumpkins? In this section you will find everything you need to decorate your classroom and get your students in the Halloween spirit! Pumpkin bulletin board trims, Jack o’ Lantern ClipArt, border papers, signs and October calendars. Bulletin Board Trim: Pumpkin Theme Set – *Members Only. 24 pages. A pumpkin themed bulletin board set that includes a straight border, pumpkin design letter sets that spell pumpkin, an A-Z letter set, plus a set of six graphics with jack-o-lantern faces. Shapebook: Pumpkin Patch – Created with abctools, this FREE pumpkin-shaped writing prompt is perfect to write about the trip to the pumpkin patch! (“At the pumpkin patch, I saw….”). Print, color, and cut out to make a booklet. Pumpkin Life Cycle – Make a FREE pumpkin life cycle booklet. Print, color and cut out each page to complete the book. Great for learning about life cycles! Pumpkin Theme Unit: Math and Literacy – *Members Only. 10 page pumpkin theme unit that includes writing a story and poem, tally chart, addition, labeling, definitions, etc.. Desk Tags: Pumpkin Themed – *Members Only. Have student’s write their name in the lines and add to their desk to celebrate Fall/Halloween. October Calendar – *Members Only. Fill in the dates with this cute, scarecrow calendar. 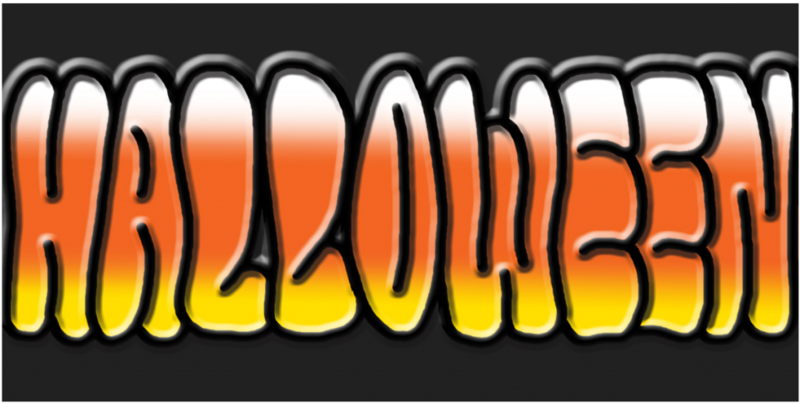 Coloring Page: Halloween Ghost – FREE, Halloween coloring page. An illustration of a child in a sheet, carrying a trick-or-treat bag, with “BOO!” overhead. Coloring Page: Halloween Bat – Color, cut out, and hang from a string, or tape to the walls/windows. Great for Halloween! 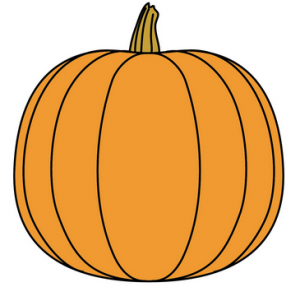 Sewing Card: Jack o’ Lantern – *Members Only. Print on cardstock or tagboard. Punch out the holes and using yarn and plastic yarn needle, sew around the pumpkin. Great for little hands and early elementary ages. 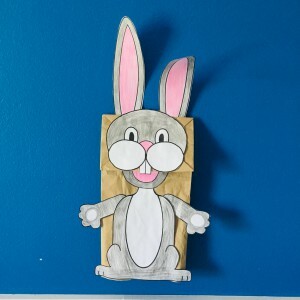 Paper Bag Puppets: Halloween Theme Set – *Members Only. Ghost, pumpkin and witch all in one easy download. Print, color and cut out! 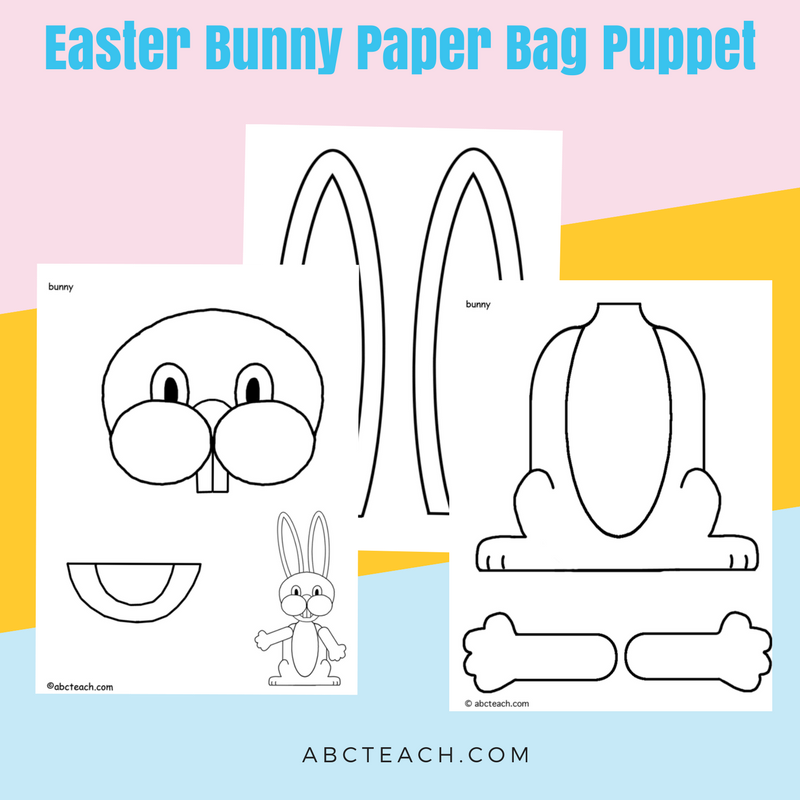 Attach to paper bags and have a Halloween-themed puppet show. Halloween Lapbook – *Members Only. 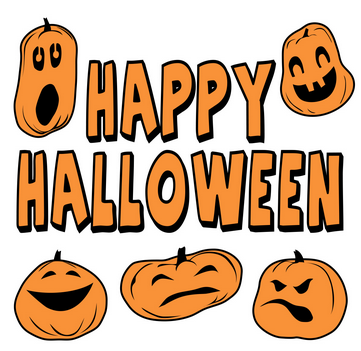 A five page set of color illustrated templates for a lapbook on Halloween, with templates for pockets, flaps, booklet, matchbooks, flash cards, and more. Here are a few colored photos of the finished product! If you would like to have access to all of these documents, and thousands more become a member today! Join Now! 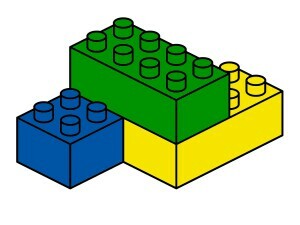 Who doesn’t have a pile of building blocks (LEGOs) laying around the house? 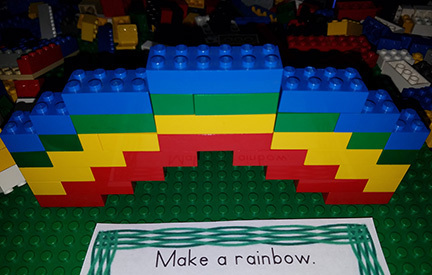 If your students love a challenge, then check out this fun building block activity! Click here to download now. This activity would also qualify as STEM (Science, Technology, Engineering and Math) learning. Kids of all ages would enjoy this fun challenge! 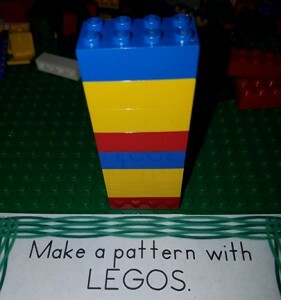 Once you have printed your cards, grab your LEGOs and lets get started! Below is a picture of a rainbow made out of all the colors of the rainbow. Now try to make your rainbow. Include as many of your favorite colors. Go outside and take a picture of your rainbow once its finished. Next, is a picture of a bridge. Can you build a bridge? You can play so many different games with these building blocks challenge cards. Be Creative! If you would like to be able to reuse them every year in the classroom, we would recommend laminating each card. 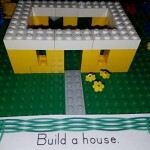 Want to make your own building block challenge cards? 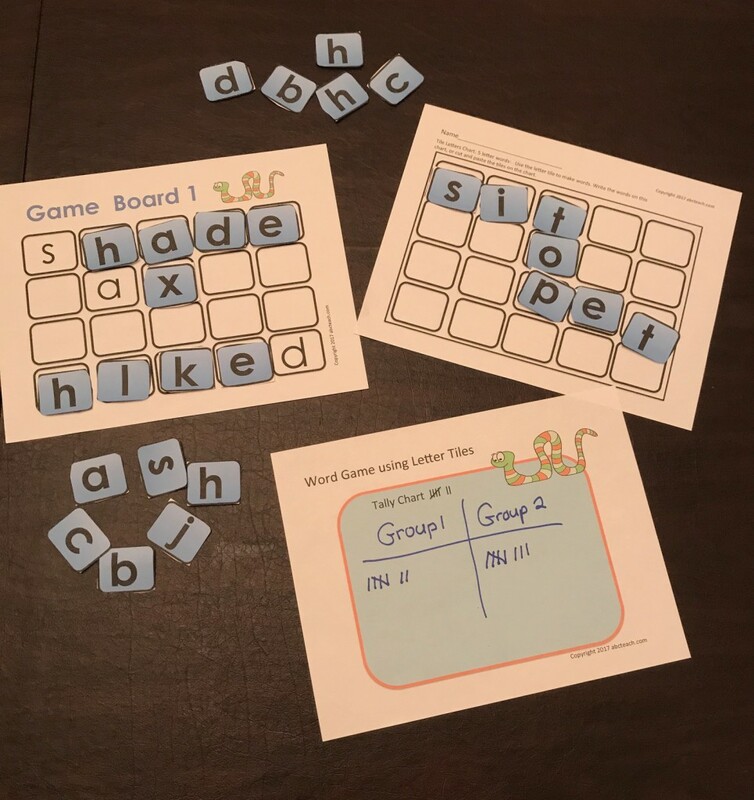 Become a member on abcteach.com and you can make your own customized worksheets, games, puzzles, word walls, vocabulary exercises and math tools! Each abctool has step-by-step instructions on how to get started. It is so easy! 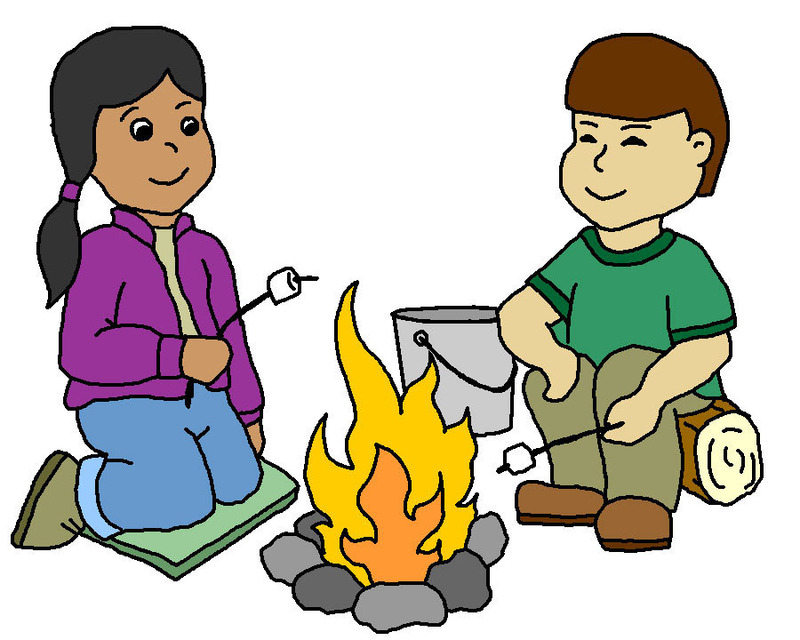 Plus, you have access to over 22,000 ClipArt images to add some extra flare to your lessons. Find out more information on how to make your own worksheets here! Look how cute this yellow-block house is?! What color would your house be…Would it have a garden…Could you build a room inside the house…Where would your house be located? So many possibilities. Have fun! *Tip: Another fun idea when playing with groups is to try and guess what the student is making by keeping others from seeing the challenge card. Each student draws a card, and their peers need to guess what it is before the time runs out. Something as simple as creating your own pattern can be challenging…Give it a try! Stack them tall, or lay them flat, each pattern is consistent and unique. 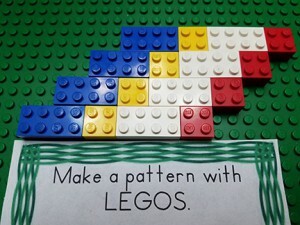 See how many patterns you can make before you run out of all the blocks. Have groups of two build a pattern together. Learning doesn’t always have to be boring. 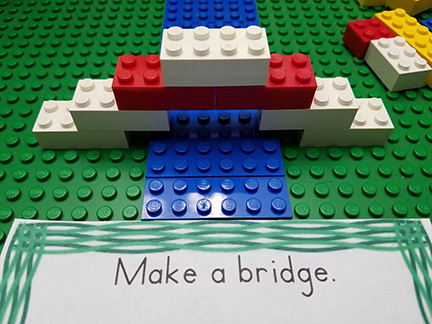 This activity brings imaginative thinking, group balance, and hands-on engagement. It is also a great addition to any classroom learning centers, daycares, homeschoolers, babysitters, and even parents! 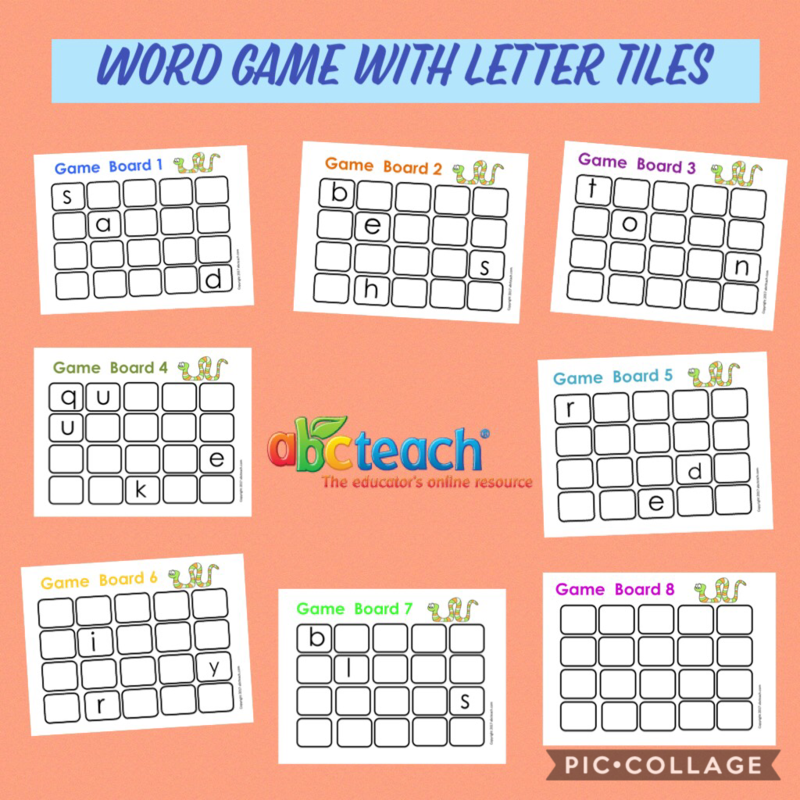 Download this FREE activity right now on abcteach.com. Check out this fun way to learn and research a topic. Topics can be about anything. Students can organize their lapbooks in a variety of ways. You can add pages and pockets. In the Teaching Extras section on abcteach, you will find a variety of lapbooks to introduce to your students. Lapbook Activity Packs – These packs are ready to use, just download your choice. 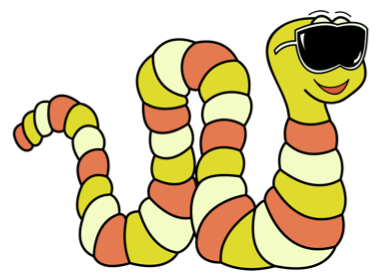 abcteach offers many different theme units. Here are few examples for FREE! Lapbook Templates – These can be used to customize projects. Download and print any of our pre-made pockets, titles, labels, clipart, and more. In order to create a lapbook, you will need a folder. You can find instructions about how to fold a lapbook here. Choose which theme you would like to create. Download, print and color to make it your own. Then, cut and paste the templates, images, pockets, etc… to the folder board to make this awesome hands-on activity. Great for all ages! Here is a photo of a completed Halloween-Themed lapbook. The New Year is fast approaching. We at abcteach would like to wish you all a happy holiday season and look forward to 2018! This year abcteach will be celebrating its 18th anniversary online. We would like to thank you for your support and suggestions throughout the years. To help celebrate the New Year, we are having a SALE! 40% OFF all membership subscriptions. If you are a NEW abcteach user, click on the image below to purchase now! If you are a renewing abcteach member click here. Deal expires on 1/2/18, so act fast! Some of you may have started school already, and others will start this week! Either way, the first day of school can be tough for everyone. 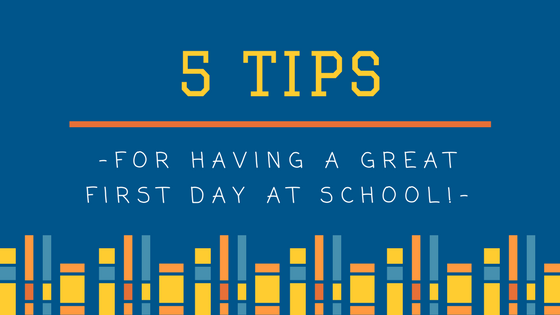 Here are some great tips to help you get through the first day, first week, or entire year of school. Don’t let it scare you, there are a lot of fun and exciting things about going back-to-school! Go To Bed Early! Make sure to get plenty of beauty rest the night before the big day. That includes the parents too! Sometimes the first day can make going to sleep hard. You have all these thoughts running through your head about everything. What should I wear? Is my teacher nice? Will my friends be there? Where will I sit? All the questions can keep you wide awake…so go to bed early and make sure you are prepared the night before. Its always a good idea to eat a healthy breakfast before going to school. And parents should pack a lunch the night before just so you aren’t in a rush and late for school on the first day! Be A Cheerleader! You’re kids are going to have a long school-year ahead. So give them an extra boost to keep their spirits strong. Write notes or funny jokes in their lunch to let them know you are thinking of them. Be involved with their homework, and encourage them to ask questions and try their BEST! Take them out for ice cream or their favorite place to eat when the first day of school is over to celebrate and hear about how it went! Share your own back-to-school experiences that will make them feel more comfortable. Make sure you stay calm and supportive throughout the day. They will appreciate your optimism. Come Prepared! It’s very important to be prepared for the long day ahead! Make sure you have everything ready the night before. Pick out a nice outfit, because when you look good, you feel good! Leave your backpack by the front door, so you won’t forget it on the way to the bus! Usually, you have an ‘open house’ to come to the school before it starts. This is a great time to find your locker, meet the teacher, and see your classroom! It also helps you feel more prepared for when the first day starts. Don’t worry, everyone is going through it together; you are not alone. Be confident, and take a deep breath! Stay Organized! Try to keep your home organized and clean. Back to school can be chaotic at times. It is always nice to come home to a friendly, stress-free environment. Your kids need their own space, and having a daily routine helps! Keep a checklist of chores or a to-do list for before and after school hours. Here is a colorful, printable checklist that goes through a daily morning routine. Keep a calendar close by to remember important dates, work schedules, and after-school events. Have a list of rules for at home and at school. Health & Safety! Make sure to drink your Orange Juice/Milk! Getting the appropriate daily vitamins, and staying healthy is important for going back to school. There are so many allergies and germs floating around at school, it’s important to stay hydrated and healthy. You don’t want to bring any food to school that other students might be allergic to, so stay informed about your classroom health regulations! Also, make sure your child arrives safely to school. Know what time the bus arrives, or carpool with a friend! Have emergency lunch money, in case your child forgets to pack one. Make sure your child knows your contact information in case they need to get a hold of you at school. Leaving your cell or work number in their locker is always a good idea…just in case! Everyone needs to be healthy in order to have an active mind and strong bones. Take care of yourself! 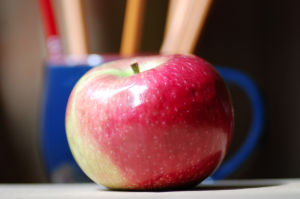 We hope these five tips have helped prepare you for back-to-school. Everyone will be nervous, but try to have a good day, and remember to SMILE and DO YOUR BEST!! 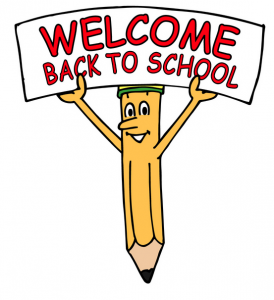 abcteach welcomes you back to school! The first week of school is a good time for students to get to know each other. Learning games played in groups can help facilitate this naturally. We created a fun game that students can play together, in groups, or in a learning center. You will need a game board, set of letter tiles, and a tally chart. Let’s get started! Each group will need two matching game boards. Students take turns making words using the tiles. Each tile is worth 1 point. On the tally chart each group adds a tally for each letter. Play until no more new letters can be made. Continue playing until you can’t make any new words. *NOTE: Each card has five tiles. For puzzles with more than 5 letters, just tape two boards together. We hope you can find something to make this first week back at school easy. Let us know what you have planned for the first day of school in the comments below. Good luck this school year and stay tuned for more hands-on activities. It is time to go back to school! Everyone feels differently about starting their first day in a new grade, school, or classroom. The first day can be exciting and nerve-wracking! So to break the ice, we have included a few awesome activities to start the year off right. Getting to know your students is very important. Every student is different, and the first day of school can be tough. We are all trying to get to know one another, and ourselves too! Contact Forms – This 5 page packet contains parent forms to be completed at the beginning of the school year. Includes contact information, transportation information, volunteer and conference sign up sheets and a child information sheet. Remember to send these home with your students on the first day! “Who Am I?” Cards – Members Only* Have each student fill out a card. Collect the cards; and when there is a free moment in class, pull out a card and call out the clues. See if your students can guess who the mystery classmate is! Getting to Know You Grid – Members Only* Interview your classmates to complete the grid. Great getting-to-know you activity for the first day of school. Getting to Know You, Selfie Picture – Members Only* This cell phone-themed art and writing activity allows students to introduce themselves by drawing a “selfie” picture and writing a brief text message. 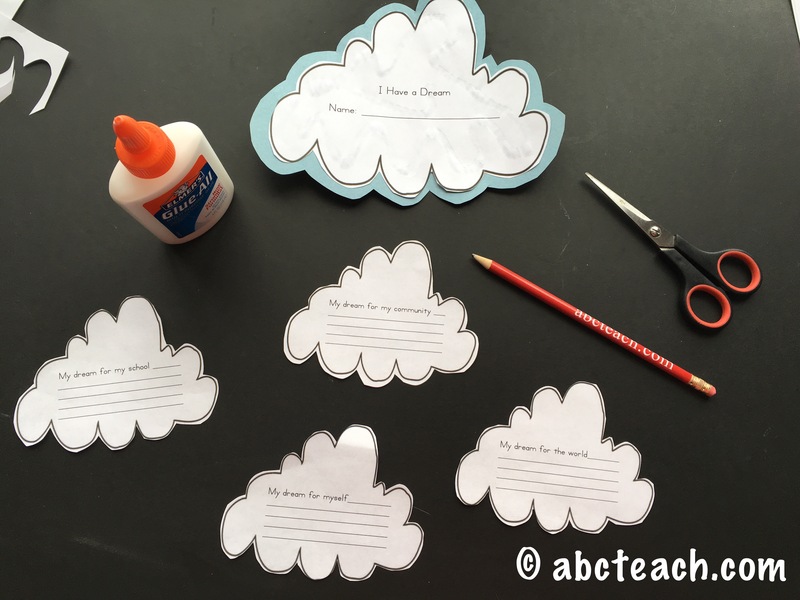 All About Me Puzzle Piece – Members Only* A fun “all about me” activity for students to introduce themselves, then come together as a class to create a puzzle. 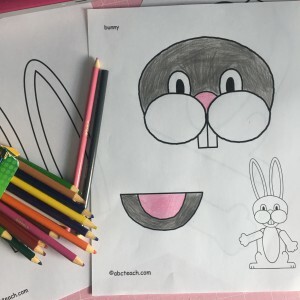 These are some fun, easy printable worksheets that you can do anytime. Word Search: Back to School – Fun, pencil-shaped word search with 17 school-themed vocabulary words to find! Great for the first day of school. Word Search: Back to School – Computer-shaped word search. Find all 20 hidden back-to-school vocabulary words in this challenging word puzzle. 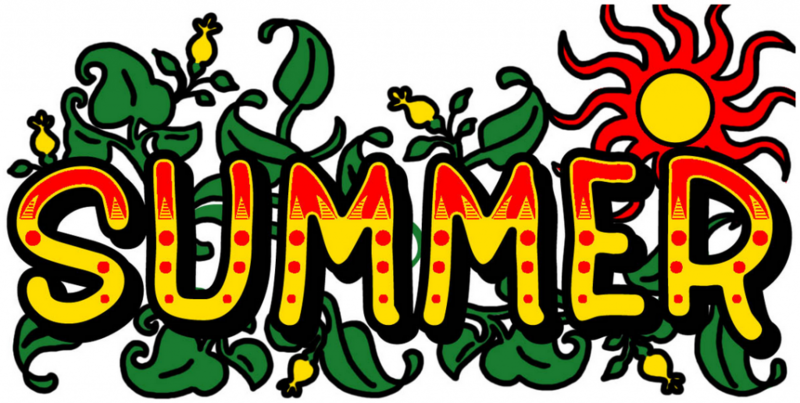 Comprehension: When Does School Start? – Simple reading comprehension about when school starts in several different countries, with questions following. Social Skills: Classroom and School Rules – Read, respond, and recall worksheet about the different kind of rules in school, at home, and around the community. Includes picture and statement worksheets, teaching how to recognize appropriate behaviors and rules. First Day Jitters – Members Only* This 7 page unit, enhances Julie Danneberg’s witty story about first day nerves. Pages are filled with elementary comprehension questions, word search, word unscramble, story sequence, acrostic and much more! First Day of School, A Rebus Story – Members Only* A Rebus story about the first day of school. Includes matching picture to word activity, and fill in the blank vocabulary exercise. Great for primary or early readers. Story Sequence: First Day of School Surprise! – Members Only* A first day of school story. Read the story, then number the events as they occur in the story. Write the story again in your own handwriting and draw a picture to go with the text. Writing Paper: School Days – Fill in the space with daily notes, homework assignments, or reminders. 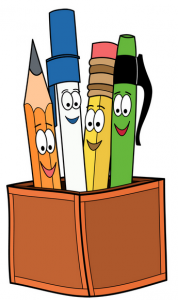 Ask your students to write a story about their first day of school, or draw a picture! Blank piece of paper with an apple illustration in the corner. Classroom Olympics: Subject Goals – All the “Classroom Olympics” goal pages and the gold, silver, and bronze medals to go with the unit; all one easy download. Perfect year to correlate the 2016 Summer Olympics into your class! Writing Prompt: My First Day of First Grade – Members Only* This is a writing activity for the first day of first grade. Writing Prompt: Back to School Feelings – Members Only* Writing activity asking students to write about how they feel at the start of a new school year. Portfolio: My Subject Goals (elem) – Members Only* This 14 page packet contains a portfolio cover, goal setting sheets, dividers, and reflection sheets. Perfect as an introduction to portfolio management and goal setting. All of these activities are great for kindergarten to upper elementary grade levels. We hope you can find something to make this first week back at school a piece of cake. Let us know what you have planned for the first day of school in the comments below. Good luck this school year!